The object of the exercise is upsizing, not downsizing. 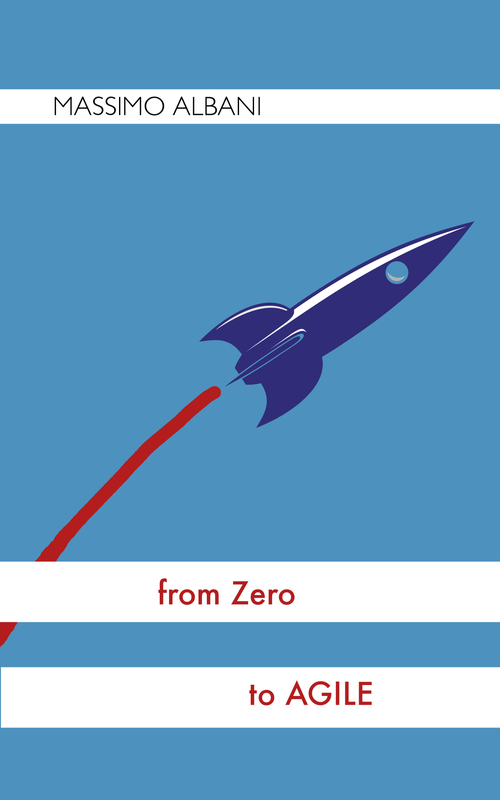 Companies that downsize are frankly admitting that their upper management has blown it. Learning is limited by an organization’s ability to keep its people. Successful organizations are always characterized by strong middle management and downsizing, when happens, is almost always targeted at middle management. Think about it next time you read about a company announcing an employees cut and wonder why the stock markets award that (aka let’s think only about short terms). 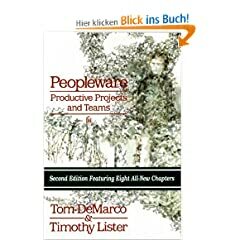 This is a “book club” reading of Tom DeMarco and Timothy Lister’s book “Peopleware”, 2nd edition. Joel Spolsky, founder of Fog Creek Software and popular author / blogger, writes on this book: “The best way to describe it would be as an anti-Dilbert manifesto”. I’m reading from the 1999 paperback second edition. The book, originally written in 1987, had a huge success and pushed the authors to publish a second edition with eight new chapters. Written by software consultants, it focuses primarily on project management but also addresses such topics as the conflicts between individual work perspective and corporate ideology and other sociological or political problems. It’s a great book, wonderfully written with a light touch of humor. It’s full of common sense but neglected tips and didn’t lose at all value after twenty years. Still a superb book on people management. In six chapters the authors go through the most important factor in every project: the people, and how the good managers don’t just make the people work but they make it possible for people to work. But HTML5 is not one big thing; it is a collection of individual features, like canvas, video, or geolocation, due to its complicated history that is detailed in a great post from Robert Nyman. Basically, after 1998 when the HTML4 specification was published, the W3C membership decided to stop evolving HTML and instead begin work on an XML-based equivalent, called XHTML. This effort started with a reformulation of HTML4 in XML, known as XHTML 1.0 in year 2000). But support for it was not wide-spread among the browsers (mostly because of the draconian error handling) so adoption by web authors and developers was very slow and eventually (when the W3C was working on an XHTML2, not intended to be backward compatible) Apple, Mozilla, and Opera jointly announced their intent to continue working on the HTML effort under the umbrella of a new venue called the WHATWG (this was 2004). This effort produced the HTML5 draft specifications which were so successful to induce the W3C to revise their decision and from 2007 to start working together with the WHATWG and publish the HTML5 specs under its copyright. In July 2009, the W3C announced that the XHTML2 charter will not be renewed. XHTML is dead, long life to HTML5. A timeline is published on the W3C wiki. HTML5 introduces several new elements: video, canvas, geolocation, local storage and more. And new APIs as microdata and drag-and-drop interfaces. I plan to visit them in a series of posts. More and more browsers are supporting the different HTML5 elements (video, canvas and geolocation the ones with the widest support). Here is a table summarizing in which browser any HTML5 element is available. According to Gartner, the Customer relationship management (CRM) is a strategy for managing and nurturing a company’s interactions with customers and sales prospects. The overall goals are to find and win new customers, retain those the company already has, and reduce the costs of marketing and customer service. The Social CRM, according to a definition by Paul Greenberg is “a philosophy & a business strategy, supported by a technology platform, business rules, workflow, processes & social characteristics, designed to engage the customer in a collaborative conversation in order to provide mutually beneficial value in a trusted & transparent business environment. the social technologies (sparkled by the new ways to communicate, as social web tools, smartphones, ubiquitous internet and so on.